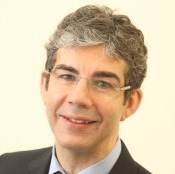 Professor David Nott is a Consultant General, Vascular and Emergency Trauma Surgeon. He has been volunteering in conflict zones such as Sierra Leone, the Balkans and Afghanistan for over 20 years now.He visited Syria with Syria Relief last year.It is important to him to pass on this knowledge and has trained countless teams from around the world to be able to perform lifesaving procedures themselves. David is a gentle and kind man as all who know him readily say. 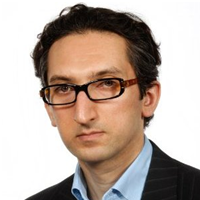 He is a senior surgeon in the UK and has trained many now consultant general and vascular surgeons. 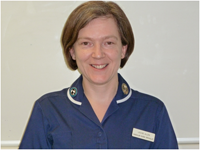 Louise Allen has been a Vascular Nurse Practitioner at St. Mary’s Hospital and Imperial College Healthcare NHS Trust, London, since September 2001, and has been working in vascular nursing for over 19 years. Her vascular experience includes staff nurse and ward sister roles at Charing Cross Hospital, London, and the John Radcliffe Hospital, Oxford. Further to her Registered General Nurse qualification, Louise has a Bachelor of Science honours degree in Physiology, a post-graduate Diploma in Advanced Nursing Practice, and a Master of Science in Advanced Practice. She is also a non-medical prescriber. In addition to her Vascular Nurse Practitioner role, Louise is on the Society of Vascular Nurses (SVN) committee, and the Circulation Foundation committee, the only charity for vascular patients. Usman is a conscientious and caring clinician. He believes in providing as much information as you need to make an informed choice about your care. He has a Masters degree in Medical Ultrasound and can perform a scan at the time of consultation to aid in rapid and accurate diagnosis and decision-making. Usman treats patients with varicose veins and arterial problems. He also treats general surgical complaints like hernias and lumps and bumps. Working with a team, Usman has developed simulation and assessment tools for treating medical emergencies and performing medical ultrasound. The team is also developing wearable sensor technology for use in patient care in a ward and operating department setting. •	Jaffer, U., Cameron, A. (2005) A case of claudication in a young man. (British Journal of Hospital Medine. Vol 66 No 10 594). •	Jaffer, U., Cameron, A. (2006) Hyperhidrosis: Current management. British Journal of Hospital Medicine, 67:2, 82–84. •	Jaffer U, Aslam M, Standfield N (2008) Impaired Hyperaemic and Rhythmic Vasomotor Response in Type 1 Diabetes Mellitus Patients: A Predictor of Early Peripheral Vascular Disease. European Journal of Vascular and Endovascular Surgery. 35(5):603-6. •	Jaffer, U., Cameron, AEP (2008) Is laparoscopic Appendectomy an Appropriate operation: Learning Curve of a Junior Trainee. Surgery. Journal of the Society of Laparoendoscopic Surgeons. Jul-Sep;12(3):288-91. •	Jaffer, U. Pennell, A., Musonda, P (2010) General Surgical Trainee Experiences of Mentoring: A UK regional audit –Journal of Surgical Education Jan-Feb;67(1):19-24. •	Usman Jaffer, Mohammed Aslam, Amina Jaffer , Nigel Standfield, Aaron Pennell (2011) Emergency ultrasound in the prehospital setting. Journal of Paramedic Practice, Vol. 3, Iss. 2, 04 Feb 2011, 83 – 8. •	Jaffer, U, Aslam, M,. Midwinter, M., Standfield, N (2012) Evaluation of rapid training in ultrasound guided tourniquet application skills. International Journal of Surgery; 10(9):563-7. doi: 10.1016/j.ijsu.2012.08.019. •	Jaffer U, Gibbs R. Mycoticthoracoabdominal aneurysms (2012). Ann CardiothoracSurg; 1(3):417-425. DOI: 10.3978/j. •	Jaffer U, Singh P, Pandey VA, Aslam M, Standfield NJ (2014). Validation of a novel duplex ultrasound objective structured assessment of technical skills (DUOSATS) for arterial stenosis detection. Heart Lung Vessel. 2014;6(2):92-104. Journal of Surgical Education (in press).